This is the first Calatrava in steel (approximately $47,000), not in a limited series, in 70 years. That in and of itself will be a reason for collectors to want to get their hands on this watch (and it’s one they might actually be able to unlike other Patek Philippe introductions). But a deeper look at this 40mm by 10.79mm watch reveals it’s housing a new self-winding base calibre, a semi-integrated weekly calendar calibre 26-330 movement—based on the self-winding calibre 324, which took years of development. It tells the day of the week, the date at a three o’clock aperture, and the month, and comes with a 53-week indicator. (That number accounts for years with an extra week, which happens every five to six years, with the next occurrence happening in 2020.) The icing on this cake is that its unusual numerals were actually based on the handwriting of one of its designers. 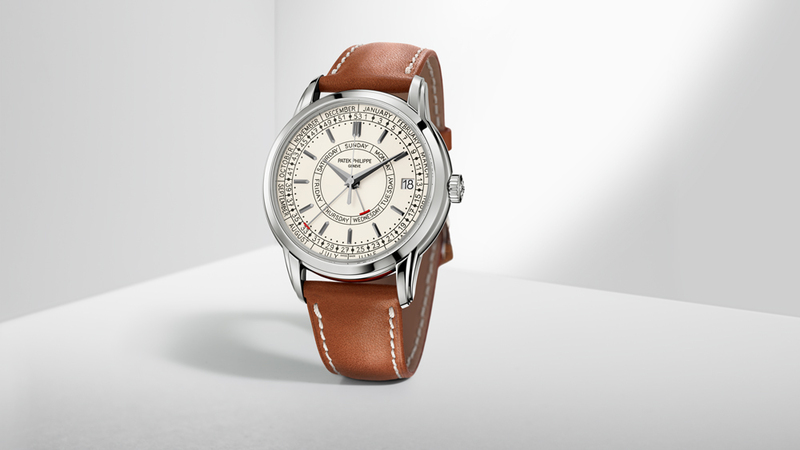 It adds something to this watch’s retro appeal, in a nod to two things threatened with extinction: the art of handwriting and the art of timekeeping. 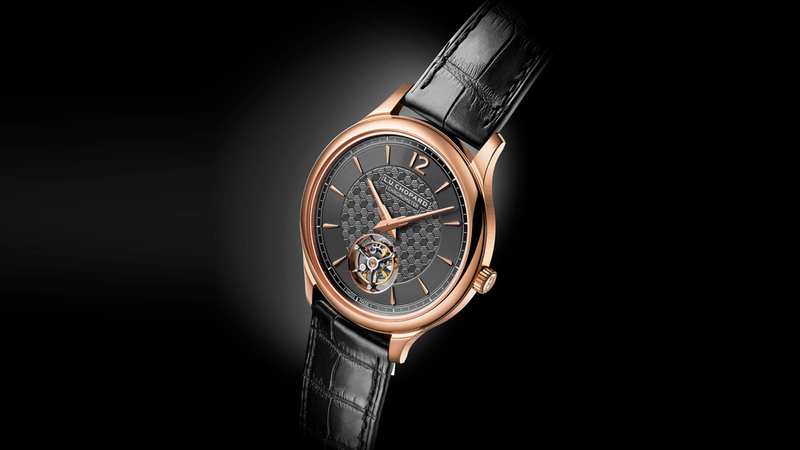 This is Chopard’s first calibre with a flying tourbillon and they made sure to do it justice not only with a hand-guilloché dial with a snailed design around the chapter ring and a centre circle with a honeycomb motif first used by the watchmaker in 2017 on the L.U.C XPS 1860 Officer edition. It’s also a nod to the first logo used by Louis-Ulysse Chopard—a beehive. The chronometer-certified movement also features a stop seconds function and comes with an official Poinçon de Genève certification for quality and finishing. To celebrate the 50th anniversary of the El Primero, Zenith launched a special collector’s box of three watches representing the past, the present, and the future of its famous movement. The past was represented by a stainless steel recreation of the original timepiece that housed the movement at its birth, the present was a Chronomaster 2 El Primero, and the future was a Defy El Primero 21 Chronograph—the latest version of the model released in 2017, which took the original El Primero’s 36,000 mph frequency and multiplied it by 10 making it the first mechanical watch able to measure times up to 1/100th of a second. The box set, limited to 50, was an immediate collector’s darling and has already sold out. So for Baselworld, Zenith came back with new iterations of its most popular model—the original, of course—in white gold, rose gold, and yellow gold. At 38mm by 12.6mm it wears as retro as it looks. Enter the crown—in the early ’80s, Ebel and Rolex played a major role in reviving the El Primero. Ebel was first in 1981, when head honcho Pierre-Alain Blum wanted to offer an automatic chronograph in his catalogue. Rolex followed, equipping its Daytona models with the El Primero calibre. Vermot’s tools allowed Zenith to quickly restart production on the scale required for Rolex. 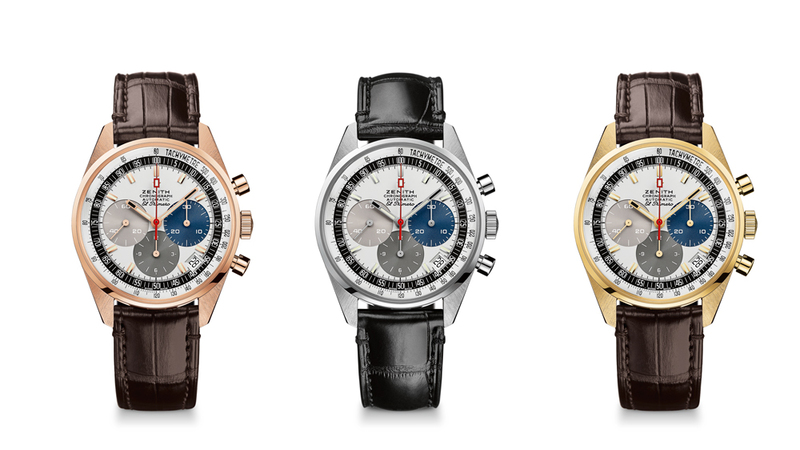 Those El Primero Daytona rollies have since become coveted watches. Back when the Rolex El Primero Daytona Ref. 16520 was released it was about $3300 (around $4600)…it now retails for over $20,000 (approximately $28,100) . The new trio of Zenith El Primero throwbacks retail for 19,900 CHF (approximately $28,000 at current exchange), but once they’re gone—and assuming Zenith doesn’t continue to update these in years to come—these timepieces, limited to 50 in each metal, will one day see an ROI that could be as impressive as a Ref. 16520. 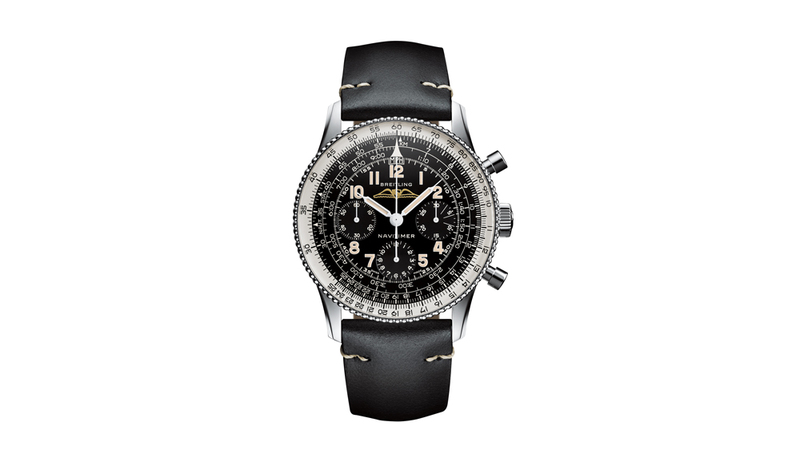 Another retro edition popped up at Baselworld in Breitling’s Ref. 806 1959 Re-Edition and you can thank Breitling collector Fred Mandelbaum for this one. The collector was part of the development and relaunch of this particular model. The watch, according to Mandelbaum’s Instagram @watchfred, is as true to the original as when it left the manufacture for sale 60 years ago—that includes its dimensions, design, and finishing. Breitling went so far as to match even the smallest details to the original like the number of beads around the bezel (94, to be exact to the 1959 model) and the unsigned winged logo, which was used only for the European market (an AOPA-signed logo was used on watches sold in the U.S.). The only thing new here, other than SuperLuminova markings and water resistance of 30 metres is a new in-house manufacture movement, the calibre B09, which is based on its inherent-house manufacture calibre 01 and is a COSC-certified chronometer and Breitling says the movement will power many of its hand-wound historical re-editions to come. That means there will be more re-editions in the future but whether they will be as accurate to the original as this one remains to be seen. At $8600 (around $12,000) this 40.9mm x 12.43mm watch is definitively the more affordable of the re-editions and only 1,959 pieces will be available. This year Bulgari continued forging on with its quest for thinness and came out with the world’s thinnest automatic chronograph at 6.9mm slim. 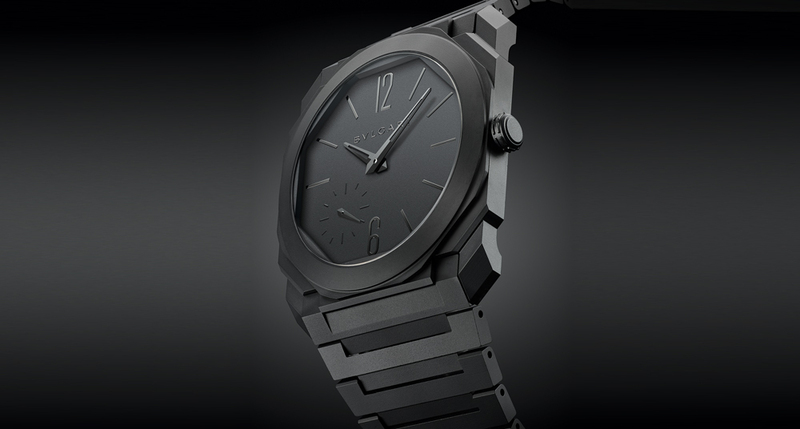 It comes in a sandblasted titanium and is a follow up to last year’s groundbreaking October Finissmio collection debut (Robb Report‘s Best of the Best timepieces for 2018), but our personal favourite of the new Octo Finissimo watches keeps it clean and straight-up minimalist modern—the Octo Finissimo black ceramic three-hand. It comes in a skeleton version, which is mighty impressive but something about the modernity of this design calls for a clean and simple timepiece that can be worn at every hour of the day. Similar looking carbon fibre Octo Finissmos exist, but one is a minute repeater and the other, which debuted earlier this year, is an automatic tourbillon. The ceramic three-hand ($21,900) isn’t exactly revolutionary given its predecessors but if you’re looking to get your hands on this design without shelling out six figures for a tourbillon or minute repeater, it’s a very welcome new addition. This baby was one of the most talked about watches of Baselworld. And in case any watch newcomers are wondering what’s so great about Seiko (and we know there are some of you still out there)—welcome to the world of Grand Seiko. This is an entirely different wing of the brand, separate from the one that’s known for having launched the quartz crisis. Japanese watchmaker Grand Seiko is known for its high-end timepieces created in two exclusive watch studios in Japan using unique movements and finishing techniques that are quite unlike anything coming out of Switzerland. It is therefore under the radar to the general public, but for many collectors, its understated elegance and commitment to perfectionism and precision, so inherent to Japanese culture, makes it a seriously coveted brand. This year they outdid themselves with a snowflake dial, accented with 14-karat white gold markers and hands, inspired by the Shinshu region, home to Grand Seiko. 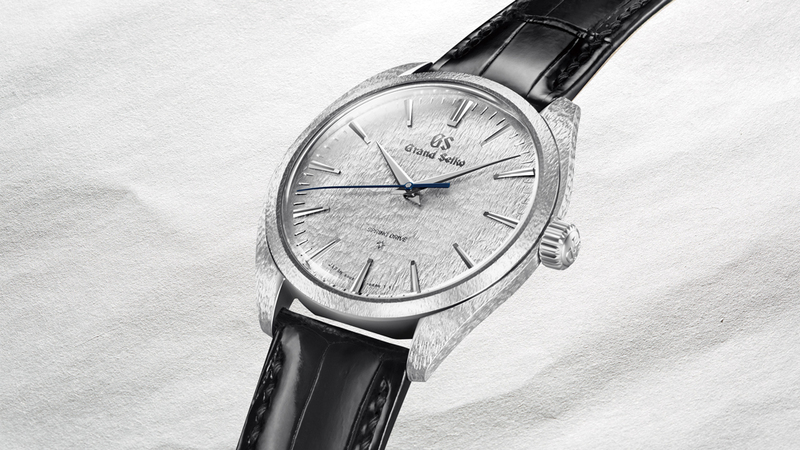 The finish on the dial seems to melt or blend into the case which has been hand carved, in platinum 950 no less, to replicate the pattern on the dial. Flip it over and you will find the Calibre 9R02. The first thing you will notice is the barrel whose shape mimics the local bellflower, a symbol of Shiojiri where the Micro Artist Studio is located. The words “Micro Artist” are engraved on an 18-karat gold plaque set on the lower bridge, which can also be replaced with the client’s name. 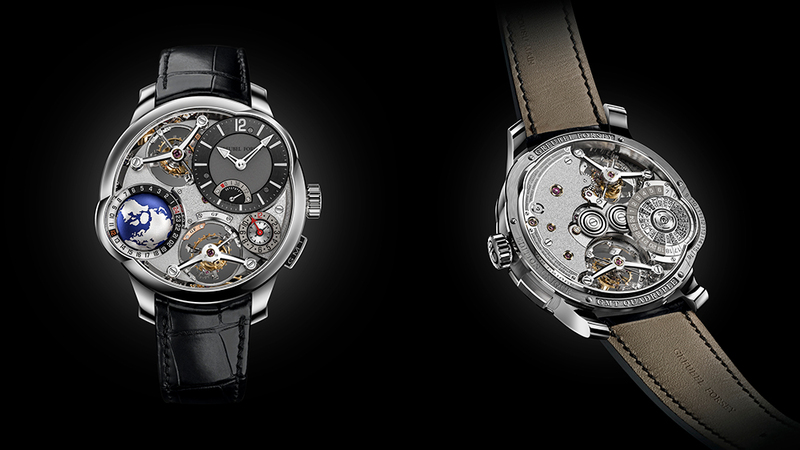 The 9R02, however, is notable in that it’s a new movement that improves upon its famous Spring Drive movement, first launched in 1999 and lauded for its accuracy, with two mainsprings set in parallel within a single barrel. It employs a Torque Return System that uses a percentage of energy from the torque of the watch when it is fully wound to rewind the mainspring thereby increasing the power reserve to 84 hours. It’s an exceptional 38.55 x 9.8mm timepiece and with just 30 pieces worldwide at approximately $106,900 a piece, it will take an exceptional collector to buy one.